Are you looking to open a bank account in the near future? Whether it’s for personal or business purposes, it is crucial that that you minimize any errors during the entire process. Any faults on your part made during your opening of a bank account may not only result in interminable delays and missed bank bonus offers, but it could also lead to your application being ultimately rejected by your chosen bank. Avoid this worst-case scenario by learning about the most common mistakes that people make when opening a bank account for the first time. Whether it’s trying to open bank account in Hong Kong or anywhere else, one of the most common mistakes for first-time bankers all over the world is bringing incorrect or incomplete paperwork to their first appointment with the bank’s staff. Combine this with the fact that each bank may have different paperwork requirements for a business or personal account, and you may be faced with the tedious (and annoying) consequence of having to go home and start the process all over again. To prevent this, visit the bank during office hours and ask its staff or banking officers about what the requirements for opening a bank account are. This way, you can set up the appointment and arrive at the agreed time with everything prepared. If you feel concerned that you may have to bring an excessive amount of paperwork to the bank just to open a banking account, don’t be. A personal banking account will usually require only the following: your social security number, two forms of verifiable/government ID, and proof of residence/mailing address. Some banks may ask for more personal and verifiable information when it comes to opening a business savings or checking account, however, so it’s better to ask about this beforehand. If you plan on running a business and choose to open a personal banking account for it, don’t. Perform due diligence and open a designated business account that’s strictly for your business. Keeping just one account for both your personal and your business finances can cause serious problems concerning accounting, taxation, and income reporting, all of which can then result in legal liability and hefty fines. More than that, you may find yourself accidentally spending money that’s set aside for your business or payroll for your own personal expenses, and that can prove problematic, especially when it comes to startups. As someone new to the whole banking scene, you may think that it’s a clever move to open a business banking account at the exact same bank where you have a personal banking account. While this may be convenient in the short term, it can potentially cause issues for your business in the long term, especially if the bank mainly deals in consumer accounts. This is because that the bank itself may not have the necessary features that businesses need to operate smoothly. One of these features is cash flow visibility, which is the insight business banks provide their customers that concerns their potential future profits, windfalls, or even drops in revenue earning. Such insight allows businesses to formulate strategies for future success and mitigation of loss. Conversely, making do with a business bank when all you need is a personal savings account is also not an ideal scenario. You may be asked for further requirements or be subjected to unnecessary background checks before your account is processed. You can avoid this hassle by doing your research beforehand. Nowadays, no reputable or long-standing bank should be charging you an ATM fee when you use your bank card to withdraw from an ATM. While the charge itself may feel inconsequential, rest assured that it will add up to quite a lot in the long run, especially if you’re the sort to only withdraw small amounts of money every time. If the bank you’ve chosen to open an account for does not waive the ATM fee or reimburse you at the end of every month, then it may be time to close your bank account and open another one somewhere else. Do remember that individual ATM providers may still charge you for usage fees, however. If you’re opening a business account, take into consideration who will be needed to sign and authorize your business checks. Will you take all the responsibility for the check-signing, or would you want the added security of requiring two signatures for each business check? If it’s the latter, then will it be the case for all check amounts or only for a specified value of money? Planning all these variables in advance can help speed up the processing of your business account, as well as helping you avoid the hassle of having things changed later. You may also encounter some banks that require you to keep a monthly balance, or to have a monthly deposit quota in order for you to avoid service fees or usage fines. This is unacceptable for a bank in this day and age, and could cause you unnecessary stress and hassle in the long term. Avoid this by choosing a bank that doesn’t impose this kind of requirement. However, if you’re short on choices, then asking for an account type that has no such requirement can be your last option. 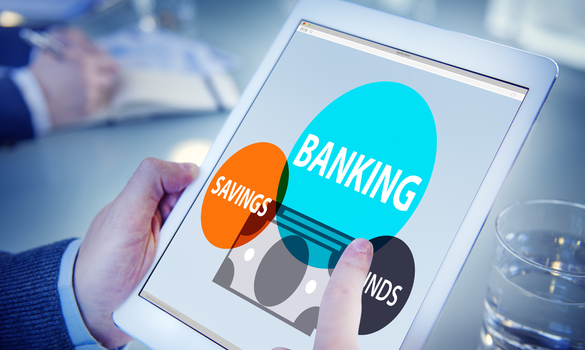 A decent bank that’s worthy of consideration should offer online banking as a bare minimum. This feature not only allows you to keep track of your account’s cash flow at any time, but also gives you the ability to avail of other crucial banking-related services from the comfort of your own home. These services include paying for your bills online, transferring money to another account, online shopping, and more. If your bank does not offer anything close to this level of online functionality, then that’s a clear sign you should move on and pick another. Don’t make your first bank account opening experience a stressful and painful one. By avoiding these common mistakes, you’ll be able to get the security and safety that a bank account offers when it comes to managing and protecting your finances.